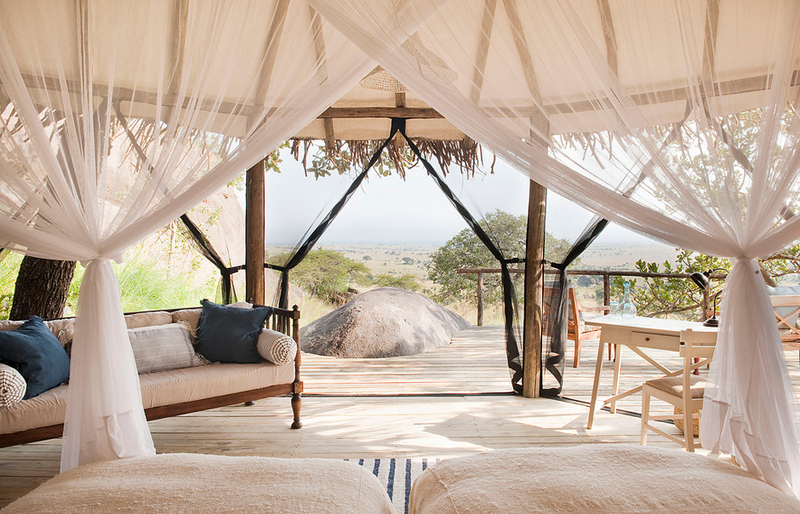 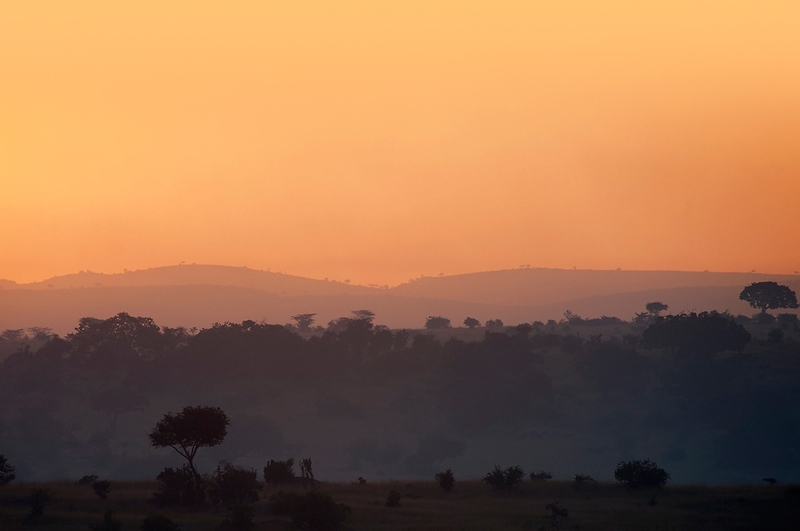 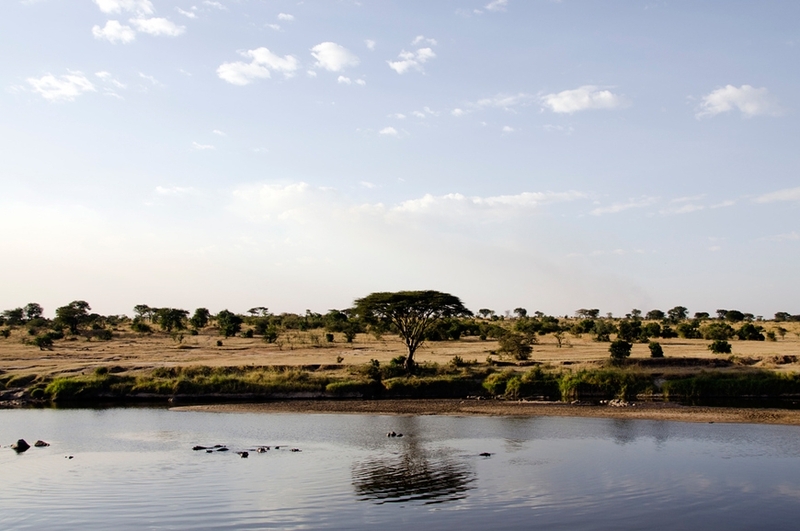 Run by Nomad, Tanzania's top private guiding and safari operator, Lamai occupies a prime spot on top of Kogakuria Kopje, its 12-rooms enjoying a front-row seat to the dramatic show of Serengeti's animal migration. 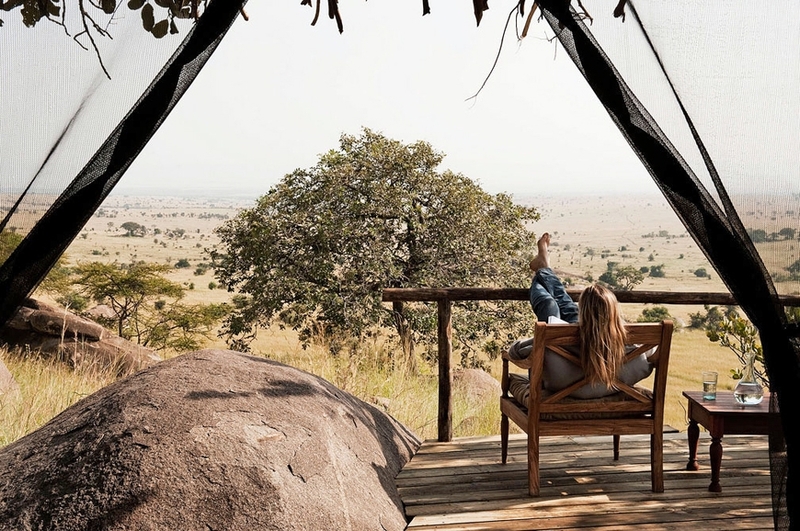 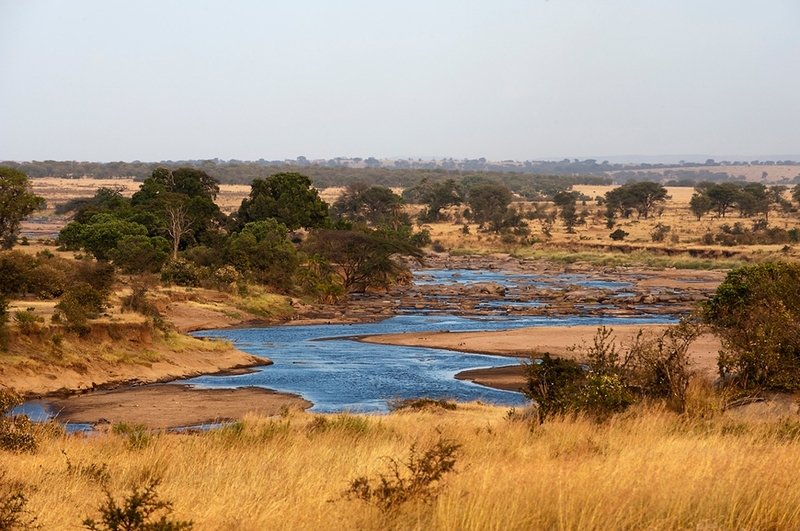 The famous spectacle of the Great Migration arrives to this remote northern parts of Serengeti every year between late July and October, and the Lamai is perfectly positioned for travellers to witness it. 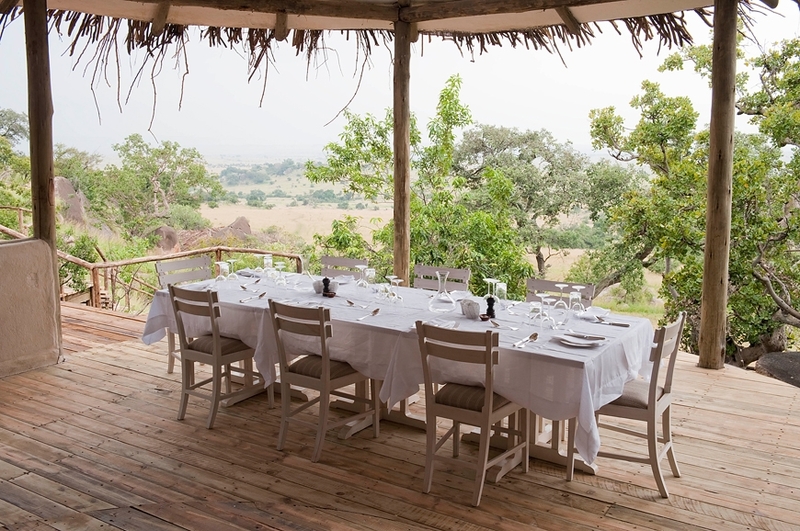 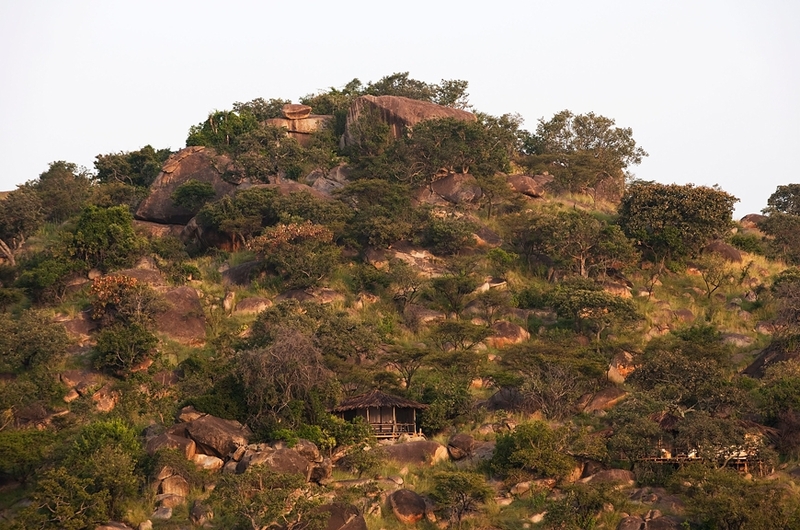 Tucked amongst the Kogakuria Kopje (hill) rocks, with panoramic views of the surrounding landscape, Lamai lies just few miles from the Mara River epic wildebeest river-crossing hotspot. 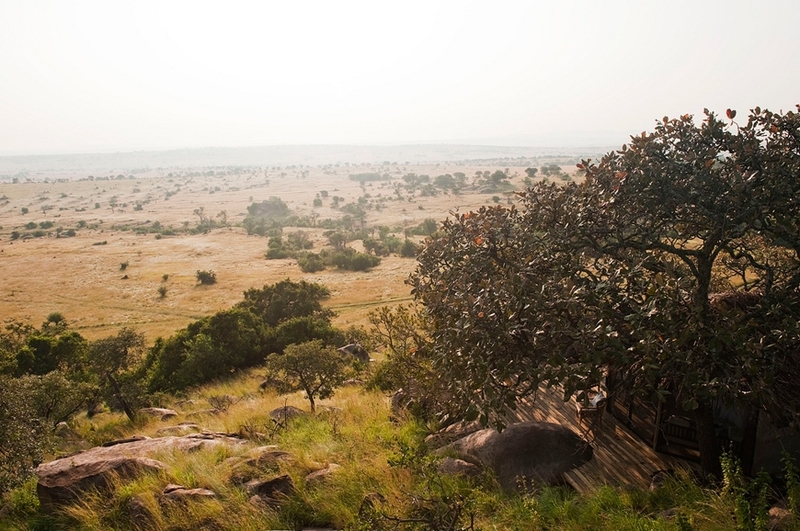 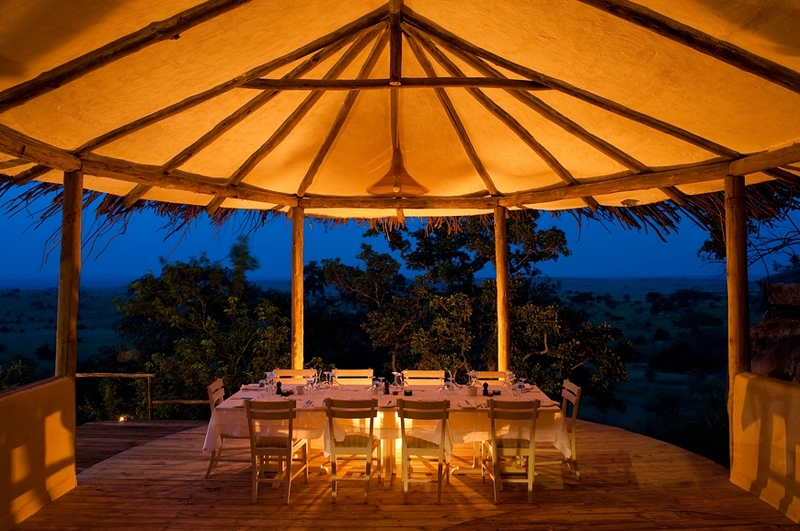 The guests needn’t even leave the lodge—commandeering over the Serengeti plains for its hilltop position, the lodge’s whitewashed villas enable observing animals passing in the distance. 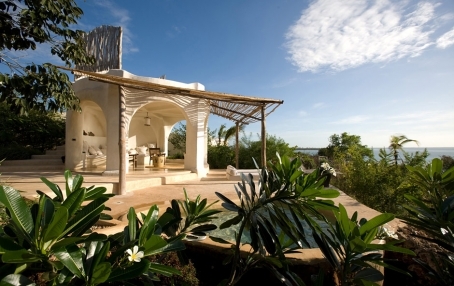 Lamai actually comprises two lodges, Main and Private. 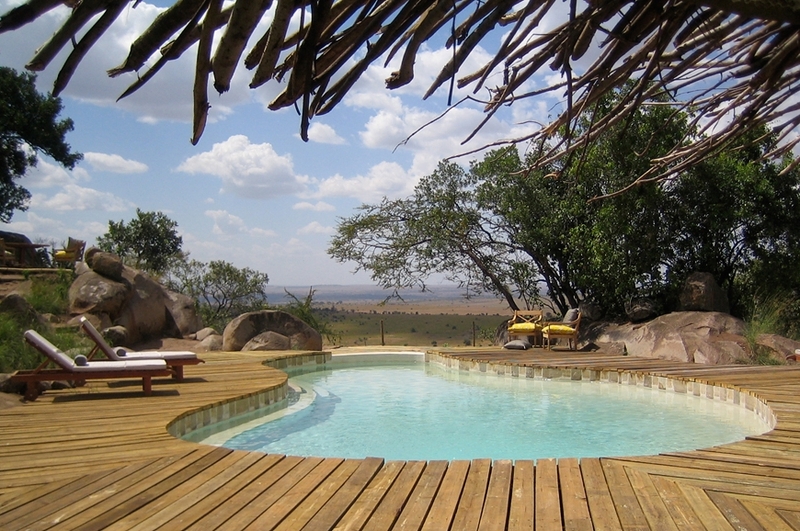 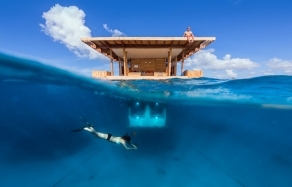 Each has a bar and dining area with adjoining library room and a natural rock swimming pool. 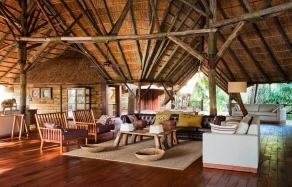 Both lodges make the best use of the fantastic hill location: villas are carefully positioned to enable the most spectacular views from their large front wooden verandas. 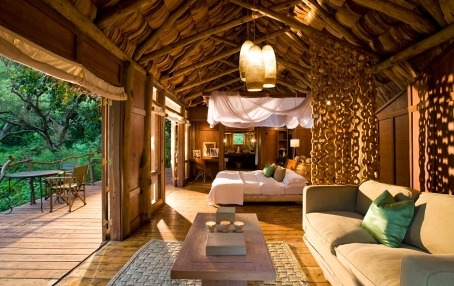 The villas enchant with their rustic chic. 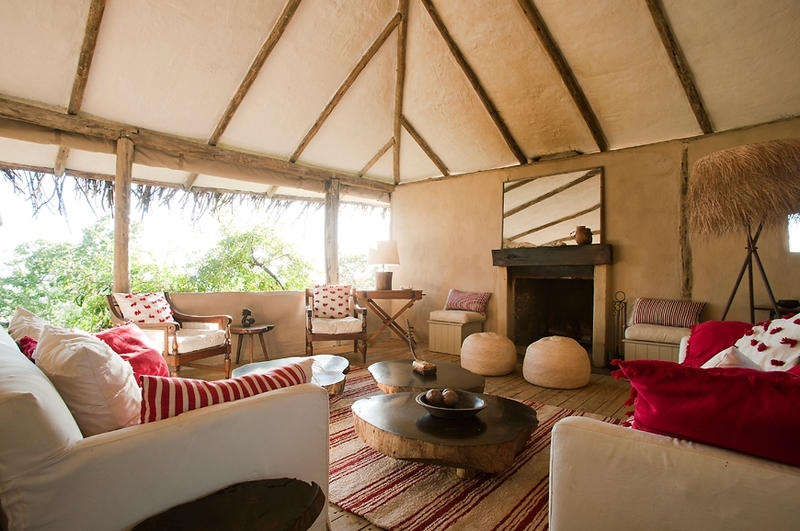 It’s a simple but luxurious style, fitting the airy spaces that open onto the vast landscape—a perfect match. 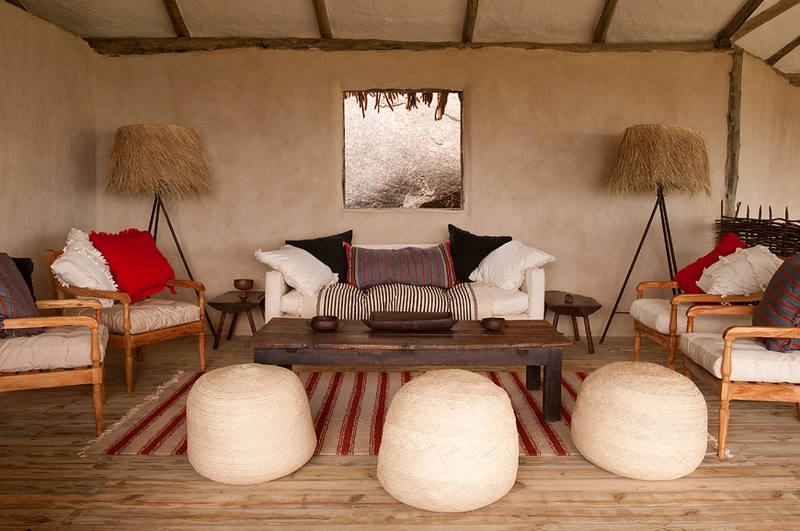 The rooms are built using canvas, plaster and rough-hewn poles. 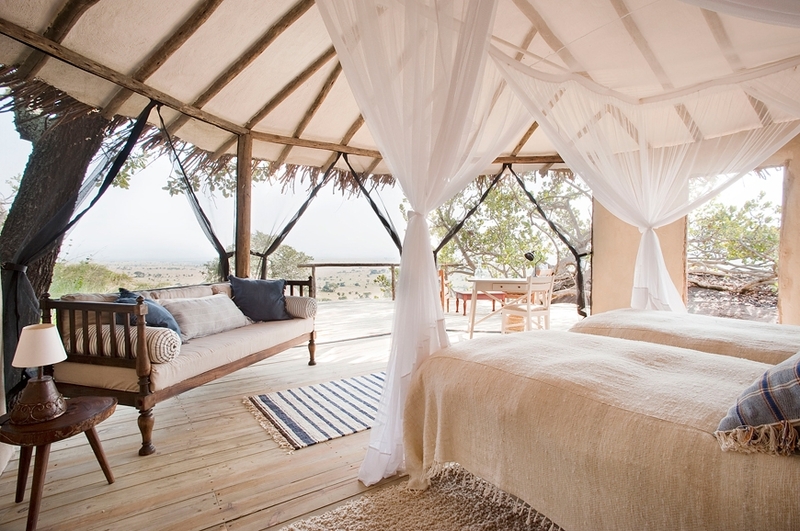 Swahili day beds are draped with romantic netting and hand-woven pillows are thrown for that extra comfort. 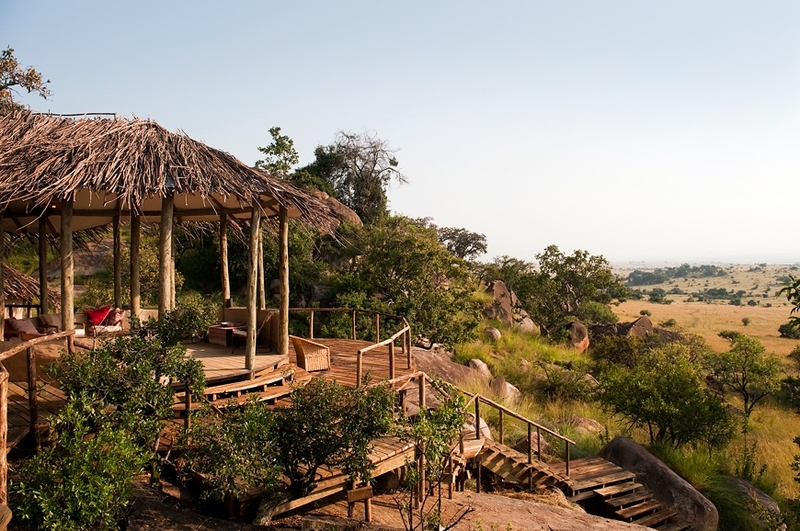 The design serves the purpose of blending the huge villas into the setting of the rocky outcrop risen above the plains and goes well with a very relaxed and informal atmosphere at the lodge. 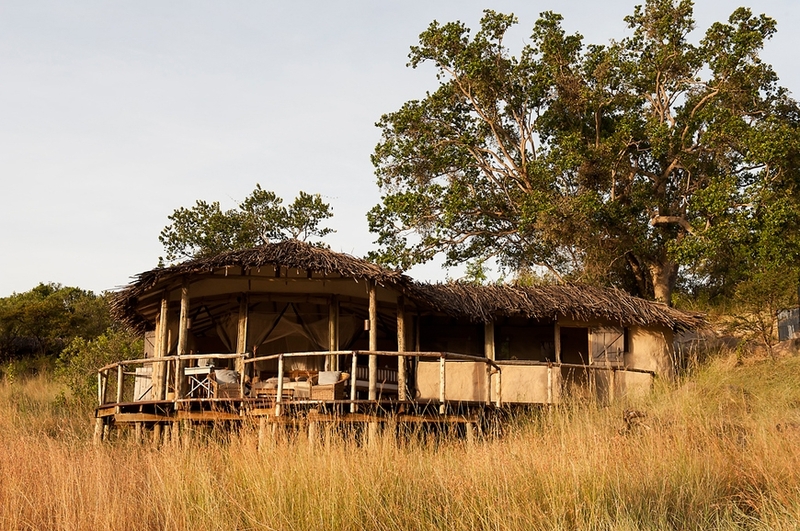 Remote and simple doesn’t mean rough: guests ca count on 24-hour power and en-suite bathrooms with hot and cold running water, flush toilets and powerful showers. 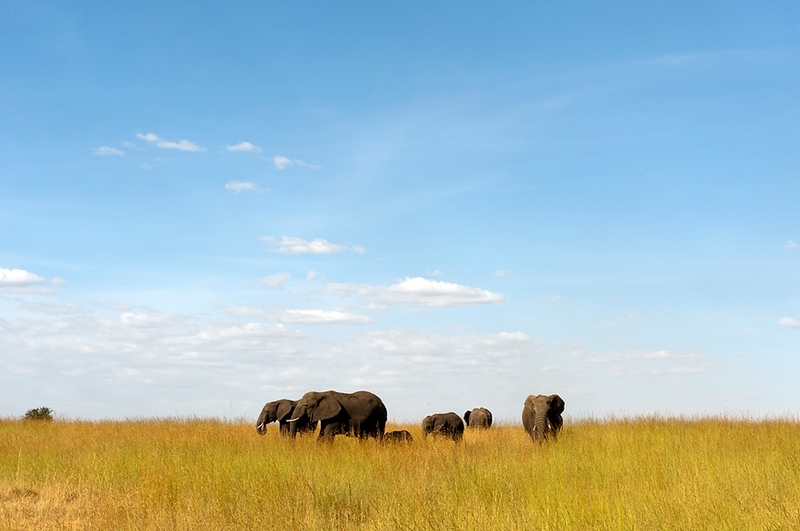 All photos © Nomad Tanzania.